Students in Instructor Debbie Craig's Introduction to Ceramics and Intermediate Ceramics classes began their first day of class at the College of Coastal Georgia by hand making ceramic bowls to be donated for the 4th Annual Empty Bowl Event. The Empty Bowl Event will take place October 16 at Glynn Visual Arts on St. Simons Island, from 5 p.m. to 7:30 p.m. Empty Bowls is a fundraising event held in various communities across the country that raises awareness about poverty and homelessness. Local artists and volunteers create ceramic bowls, which are then showcased at a dinner event. Attendees are asked to make a donation and in exchange enjoy a meal out of one of the handmade bowls. 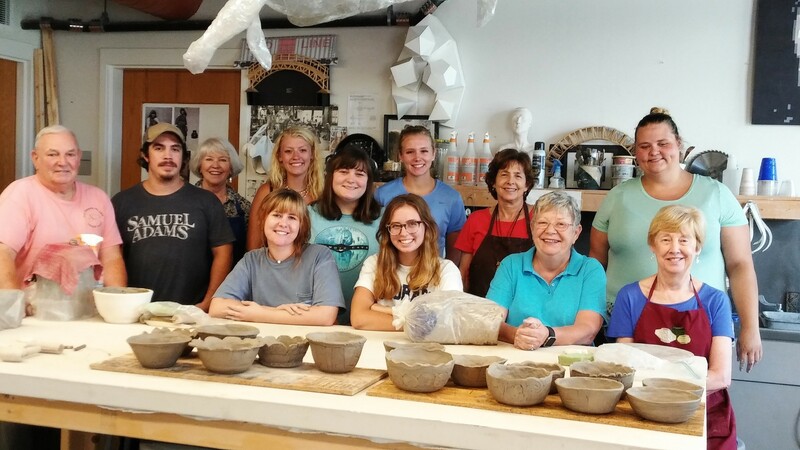 Craig, ceramics instructor at the College and pottery teacher at Glynn Visual Arts, thought having her students create a bowl for the event would be a great way to introduce them to ceramics. Twelve students created bowls that will be painted, glazed, and ready for someone to enjoy hot soup from the fundraiser. "We're learning a lot about clay and how to manipulate it and it also gives students an opportunity to impact the community without them having to go out and look for one," Craig said. Her students' bowls will join many others created and donated by local potters and community members. Craig teaches Handmade for the Hungry, a pottery class at Glynn Visual Arts where community members pay to learn how to make a ceramic bowl, then donate it for the Empty Bowl Event. Craig said the goal is to provide 300 bowls for the event. At the Empty Bowls Event, attendees can purchase a $25 ticket and select a handmade bowl to take home after enjoying soup provided by Straton Hall Events. All proceeds will go to America's Second Harvest of Coastal Georgia. Craig said she and local potter Ann Marie Dalis, who is also an instructor at Glynn Visual Arts, wanted to bring an Empty Bowls event to Glynn County and involve the entire community. She noticed that when her students or community members make bowls intended for donation there is less stress over making perfect bowls and more freedom to be creative. 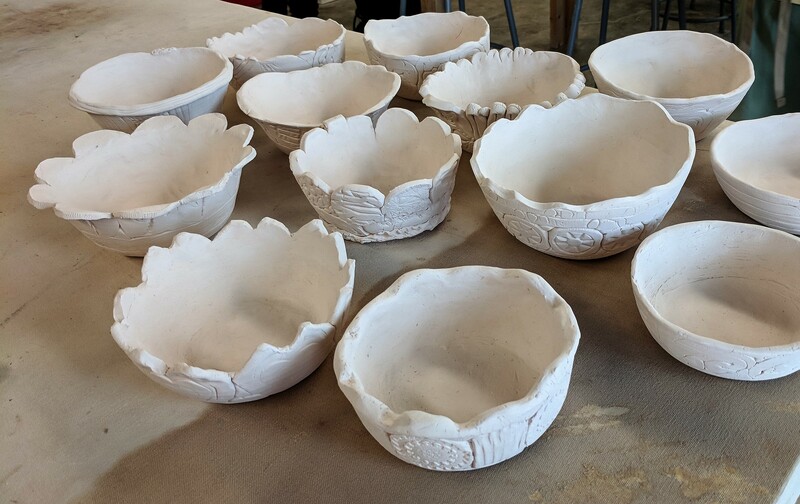 "For the students and community to make these bowls and invest in Glynn County and the America's Second Harvest food bank, it's a more personal way to help their community, instead of only writing a check," she said. Andre Break, a student in Craig's class, said creating the bowls on the first day was great. "It was a good introduction to the class and fun," Break said. "It was a good welcoming project, helped build camaraderie, and gave us free reign to be creative."